Bucks County, PA is nestled into the state’s countryside among working farms and picturesque towns, making the region a gorgeous place to live and visit. It is composed of a total of 622 square miles in the state, much of which is made up of natural and historical sites. Visitors seeking an experience rich in history, art and friendly people love the chance to spend time here. In terms of location, Bucks County, PA is about 25 miles from Philadelphia and even from New York City, it is only 75 miles away. This makes it convenient to visit, but it also means that as a place to live, you can enjoy everything the region has to offer without ever being too far away from large urban centers. Depending on what you want to see, there are some parts of Bucks County that will cater to your needs more than others. For instance, when you are looking to experience gorgeous local art, then one of your first stops should certainly be New Hope. That popular artist colony is one of the top tourist destinations in the county. There are nearly too many artists to name, but Edward Redfield and Daniel Garber are certainly among those who top the list. Regardless of how you might like to enjoy the art, there is sure to be something for you, from unique shops to classic galleries, as well as more than 30 fine restaurants and elegant bed and breakfasts to ensure you’ll enjoy the rest of your stay when you aren’t out viewing your latest artistic find in New Hope. Of course, that’s not all that is available in that area, as the town also features certain historical attractions such as the New Hope and Ivyland Railroad. Still, if you’re really hoping to take yourself through the county’s history, you’ll want to visit more than just one town. All of Bucks County, PA is brimming with historical locations, sites and attractions dating as far back as the 1600s. Places that shouldn’t be missed include the Washington Crossing Historic Park, where George Washington made his crossing of the Delaware River, as well as William Penn’s 17th century house called Pennsbury Manor. Certain towns in the county are especially wealthy in historical attractions, such as Doylestown, where you can see the Mercer Museum, the Fonthill Museum, the James A. Michener Art Museum and the Moravian Pottery and Tile Works, among others. That said, Bucks County isn’t just a great place for adults to visit. Families with kids of all ages will also find something for every member to enjoy. The littlest children can’t get enough of the Sesame Place theme park based on Sesame Street, the long-running, award-winning children’s educational television series. It is the only theme park in the United States based on the show. 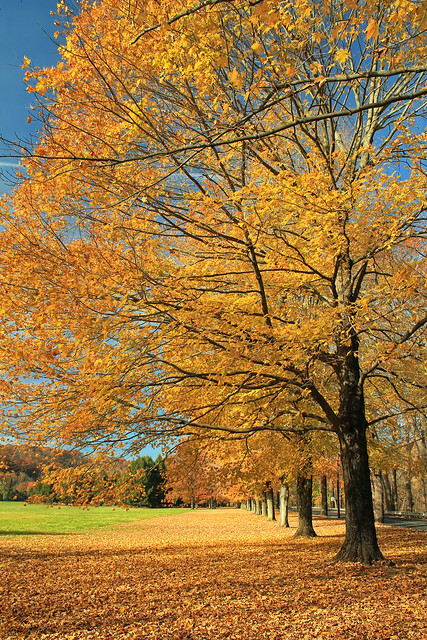 From parks and nature centers to working farms and local art museums – not to mention seasonal and annual festivals – locals and visitors never run out of things to see and enjoy in Bucks County, PA.